He said at a yoga camp in Dubai on Sunday he had given the gathering an option to chant 'Om' or 'Amin' and that they had preferred chanting 'Om' over 'Amin'. Amid opposition from certain religious communities over chanting of ‘Om’ and performance of ‘surya namaskar’ during yoga events, Ramdev on Sunday said these practices do not change anyone’s religion and are “secular, universal and spiritual” in nature. He said at a yoga camp in Dubai on Sunday, which was attended by Hindus and Muslims, besides members of the royal family, he had given the gathering an option to chant ‘Om’ or ‘Amin’ and that they had preferred chanting ‘Om’ over ‘Amin’. They ‘experienced a divine’ feeling, he said at a yoga event at Rajpath, organsied by the Ministry of Ayush and attended by a large number of people, including Union ministers M Venkaiah Naidu, Arun Jaitley and Babul Supriyo and BJP MPs Meenakshi Lekhi, Manoj Tiwari and Vijay Goel. 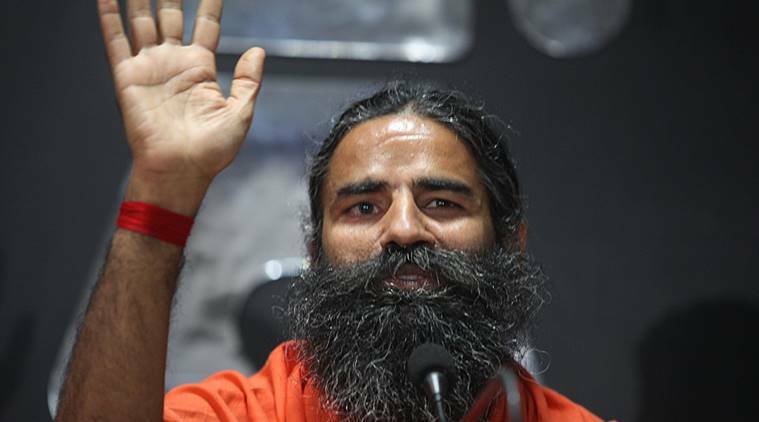 Ramdev, who runs an FMCG empire, said that in next three years, Patanjali will conduct animal to human trials of ayurvedic medicines and clinical trials in yoga. For this his organisation will invest Rs 500 crore. Additional Rs 500 crore will be invested on research pertaining to cow, he added. “I went to Dubai and I made people there to chant ‘Om’ and perform ‘surya namaskar’. While performing ‘surya namaskar’, I also kept some Muslims along with me and told them that if their religion changes (for doing it), then don’t do ‘surya namaskar’. No one’s religion changed. Yoga is not a religious practice, but a secular and universal practice. “I said while performing yoga you can also say ‘Amin’ and ‘Om’, but many people and majority of Muslims said ‘Om’ instead of ‘Amin’… They said they got mental peace by chanting ‘Om’,” Ramdev said. Ramdev claimed Prime Minister Narendra Modi too conveyed his wishes for the mega event at Rajpath. He said if people perform yoga and encourage others to do so, India will again become a country of “rishis” and become a country “dreamt by Ram and Krishna” and by Swami Vivekanand and Dayanand Saraswati. “We don’t want to make India any religious country. India is not a religious country. It is a spiritual country. We want to make India a spiritual country and world a spiritual place. This is our dream,” he said.